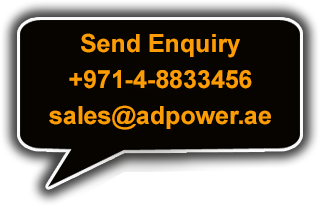 Adpower offers permanently installed generator sets that starts and operates without any input or action by you, and is characteristically filled by natural gas or propane. Most customers who use its services select this type of installation. If you have medical requirements that need power, run a home-based business or have a well or septic system, you’ll be best served with this type of generator. It is “automatic” and typically starts and operates without additional support. It is more expensive than a portable generator, but offers greater peace of mind to those who completely cannot be without power. Whether you are home or not, the generator starts and provides power to meet your requirements. Able to power the majority of circuits in your home or business. Quieter operation than portable generators and operates if you are home or away. Typically a 30 second or less delay between utility outage and return of power from the generator to your residence or home business. Self-tests regularly to ensure that it’s always ready. Weatherproof, locked enclosure and uses clean, safe natural gas or propane. Transfer switch prevents generator from backfeeding into utility lines.